An NPC that appears in 4 Goddesses Online. 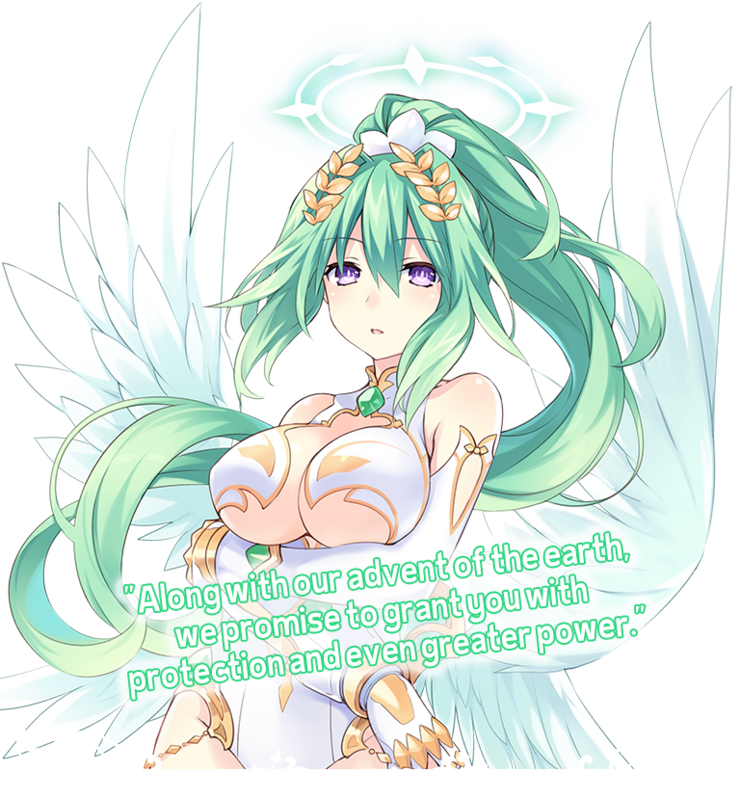 She was created using Vert's HDD form in real life as the motif for both her physical form and personality. When not fighting, she exudes grace and elegance. When she is fighting, however, this translates into a calm attitude on the battlefield, showing absolutely no mercy to her enemies. According to the story of 4 Goddesses Online, she is one of the four Goddesses who sealed away the Demon King long ago. Her weapon is a spear, and she purifies enemies with her incredible power. She is, of course, a Goddess class character.